At a meeting presided by Chairman of Ho Chi Minh City People’s Committee Nguyen Thanh Phong yesterday to review implementation of the Party Congress on anti-flooding task in the period 2016-2020, the city authorities look to raise funding for flooding fight because the city needs VND46,527 billion (more than $2 billion). 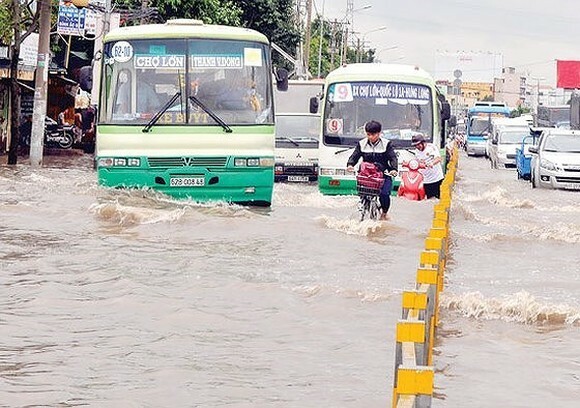 As per the city’s plan by 2020, it needs VND52,897 billion to build three underground rainwater reservoirs, waste treatment plant and sewerage system, build and repair drainage system, and renovate Xuyen Tam canal as a measure to cope with chronic flooding in the city. Additionally, the city needs VND20,482 billion to carry out irrigation projects in Sai Gon river’s left side, drainage system in Kinh river as well as dredge major eight drainage canals. 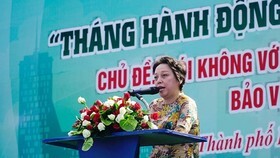 Speaking at the meeting, deputy director of the Steering Center of the Urban Flood Control Program in HCMC said that for years, the center focuses on tackling inundation in downtown area and parts of five peripheral basins in the city’s north, west, south, northeast and southeast within 550 square kilometer with the population of 6.5 million. Meeting participants said that the city has so far solved 13 streets regularly flooded after rains, 32 other streets and 179 alleys inundated by tide as well as built seven waste treatment plants. 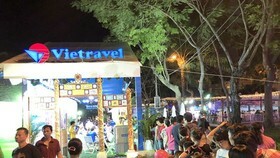 For detail, in 2016 and 2017, 15 major streets including Ung Van Khiem, Nguyen Xi, the National Highway No.13 in Binh Thanh District, An Duong Vuong from My Thuan bridge to Phu Dinh wharf, Go Dau, Le Thanh Phuong, Mai Hac De, Luong Van Can, Hau Giang, Le Quang Sung, Cao Van Lau, Mai Xuan Thuong, Hong Bang, Tan Huong, Go Dua. In 2018, the center will run flood control projects in seven streets including Me Coc 2, Luu Huu Phuoc 2, Luong Dinh Cua, Ton That Hiep, Ho Van Tu, Truong Vinh Ky, An Duong Vuong. It is expected that until the middle of the period, 22 inundated streets will be handled accounting for 59.46 percent compared to the period 2016-2020. At present, project investors are handling 15 remaining flooded spots by promoting progress with the expectation to complete them in 2020 as per the plan. 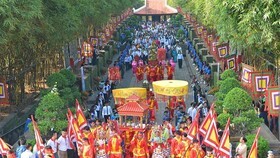 The waste treatment plant Tham Luong Ben Cat with a daily capacity of 131,000 cubic meters is operated now. The second phase of waste treatment plant Binh Hung is to improve its capacity from 141,000 cubic meter a day to 469,000 cubic meter a day. Two other waste treatment plants are Nhieu Loc- Thi Nghe has capacity of 480,000 cubic meter a day and Tay Sai Gon with capacity of 150,000 cubic meter daily, said the center deputy director. Last year, four waste treatment stations were operated too. 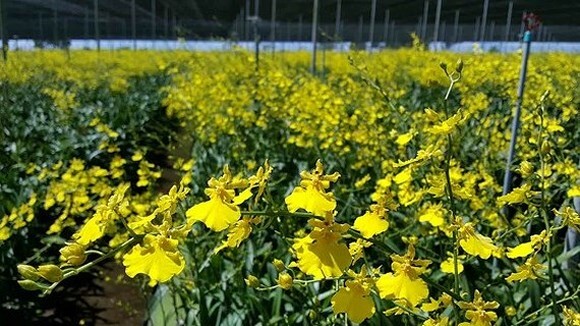 They are one in a residential block in district 2 in the area of 17.3 hectare with capacity of 3,000 cubic meter a day; other in a 18.4 hectare residential quarters in district 2 with capacity of 7,000 cubic meter a day, in Vinh Loc B in BInh Chanh District with capacity of 3,700 cubic meter a day and a bio-treatment pond with the capacity of 25,000 cubic meter daily to treat the Ba Bo Canal. The city is nearly to complete six projects to improve 1.8 kilometer drainage systems helping to drain and partial inundation in the projects’ premises. Twenty six pump stations comprising of 56 pumps with the capacity of 168 cubic meter to 84,000 cubic meter an hour will be operated when it rains. However, there have been financial hiccups along the way; accordingly, spending for basic construction in the city will shrink. The city needs total fund of VND96,329 billion for the period 2016-2020; of which VND6,338 billion is taken from state budget and funds from the State Capital Investment Corporation (SCIC) just disburses VND30 billion while the government allocates VND10 trillion for the flood mitigation program. In addition to state budget of VND588 billion for the program, VND21,865 billion is social contribution and VND57,518 billion taken from the official development assistance fund. The center is going to build three additional underground reservoirs and seven waste treatment plants, box culvert system. 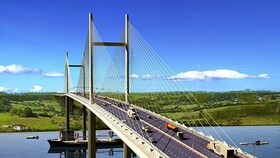 Furthermore, it takes heed to remove hiccups along the way to help investors stepping up the execution progress of anti-flood constructions in the first phase; building two drainage systems in Vam Thuat and Nuoc Len canals which will use Asia Development Bank, 12-km embankment in Sai Gon river as well as improving key drainage systems Tieng, Lon, Xom Cui, Lung Man. 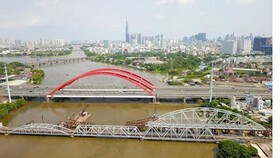 The center representative petitioned the municipal People’s Committee to direct district administrations to invest in canal, river and sluice gate systems connected with others citywide. Moreover, local district administrators have to implement anti-flooding program for the period 2016-2020. Plus, people’s committees in districts must impose punishments on those who encroached drainage systems and illegally leveling canals; moreover, they should dredge rivers and canals periodically. 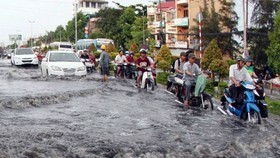 The center proposed that entire machinery of state take heed to implement anti-flooding program. 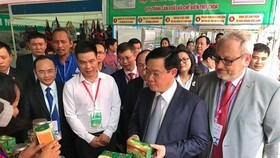 Chairman Phong lauded the center’s activities in the past time to fight inundation; however, the center must set time for each program and update five groups of measures systematically as well as valuate what had been done and what had not been done. He ordered all relevant departments and local governments to have measures against flooding.